If you’re looking to control the flow of excessive rain from your roof, then look no further than our range of plastic guttering! Crafted from UPVC to provide superb strength whilst remaining wonderfully lightweight and easy to fit. 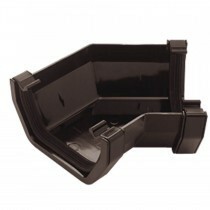 Our range of plastic guttering comprise of everything that you may require to revive your properties guttering. This includes down pipes, outlets, angles and more. When combined these various parts ensure our plastic guttering provides your property with protection from the elements, whether that be a severe rain or a little snow. When choosing from our range of guttering, you have a choice of colours. 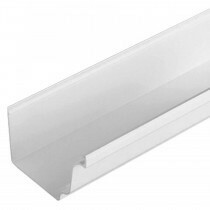 We also supply various styles of plastic guttering, which include standard UPVC and cast iron effect. This allows your guttering to enhance yoyr property whilst not taking away from its existing beauty. .
Order your guttering online and we'll deliver it straight to your doorstep in a matter of days, wherever you are in the UK. 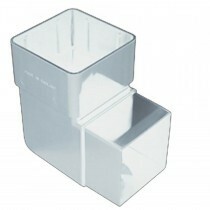 This allows you to quickly repair an exisiting leak or add the finishing touches to a new project. With mega savings on all plastic guttering, now is the time to repair any leaking joints or cracked downpipes. If you need a helping hand choosing your guttering, speak to our team by telephone or online. They’ll make sure you have all the necessary materials to complete your roofing project, whether you’re a DIYer getting your hands dirty or tradesman looking to get the best price for your customer. Buying roofing material can be daunting, especially when ordering them online. With over 40 years of experience in roofing, however, we get asked a lot of questions about our growing range of plastic guttering. Here are some of the most common questions with answers for each! Which Materials is Best – Plastic or Metal? 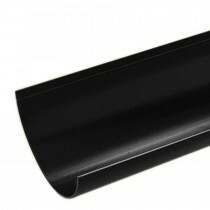 Both metal and plastic guttering are strong and durable. 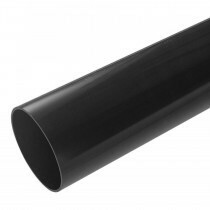 Unlike metal, however, plastic guttering is lightweight. Because of this, plastic guttering requires less support and is considerably easier to fit by DIYers. If you live in an area that experiences severe snow throughout several months, metal guttering is likely the best choice. Although, you can reduce the chance of your plastic guttering from bowing by clearing it of debris regularly. How Often Should I Replace My Guttering? 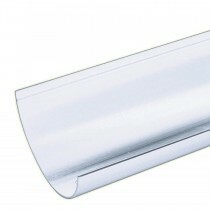 You needn’t replace your plastic guttering unless it is bowing or leaking. If you have metal guttering, however, you should also keep an eye out for rusting. 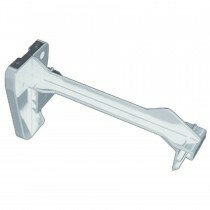 In most circumstances, you can simply replace the damaged piece of guttering. If you are experiencing leaks from multiple corner pieces or downpipes, however, you may wish to replace your entire gutter system. How Do I Care for My Guttering? Both metal and plastic guttering is easy to care for. 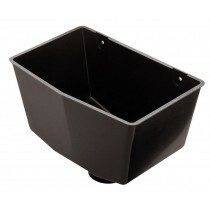 Simply use a hedgehog gutter brush to remove any debris that has built up. This should be done 1 – 2 times per year, with particularly attention being necessary before and after winter. You may also benefit from preventative measures. This includes a gutter guard, which is placed on top of your gutters to prevent leaves, sticks and other debris from finding their way into your guttering system. If you have more questions about our range of guttering, speak to our team by telephone or online. With over 40 years of experience in roofing, we’ll help answer your questions and will ensure you have everything you’ll require for your project. What’s more, you’re certain to make mega savings at Roofing Megastore!